Getting customers has always been the most important aspect of retail. But apart from aggressive selling, retailers are also recognising the importance of retaining customers. Every brand tries to ensure that customers who made purchases from them should re-visit the brand for their next purchase. For this purpose a large number of retailers have introduced various customer loyalty programs to make the customer keep coming back to them. Some are limited to points only while others offer exclusive benefits too. Are reward points enough? 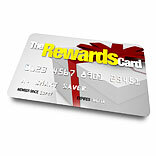 Loyalty cards are generally offered to customers at the time of checkout, mostly complementary and almost all retailers offer earned points on the purchases made. The first purchase’s points are added and retailers hope customers will come back to add more or redeem them at a later purchase. Rahul Rana, COO, PAYBACK says more than 95 per cent customers get cards with points from the first purchase and 65-70 per cent of these customers might show a repeat transaction in the next three months. The process creates a huge amount of database for retailers that can be used intelligently to engage customers. PAYBACK through Future Retail alone has 10 million members. As a customer, on the other hand, one loses count of the number of such cards from various retailers we carry. After a customer survey by Retailer, we found that 7 out of 10 customers would prefer to have a loyalty card from a large format multi brand hypermarket than separate cards from single stores or supermarkets. A recent research by Manthan Systems and US magazine RIS news found that only giving reward points to every customer may not be enough to keep them loyal and retailers need to offer extra benefits than just redeemable points and discounts to actually get a second purchase. To this effect Shoppers Stop’s First Citizen card offers customers free parking every time they visit the store. Future Retail’s Pantaloons Green Card gives members an exclusive preview two days before their end of season sales begin and special discounts around the week. Barista Lavazza on the other hand gives loyalty cards only to its loyal customers who visit the store often. The Beanoholic card gives a free cappuccino to customers after every five transactions and strives to create a loyal customer base through personalised service. Similar is also offered by Gloria Jeans Coffee. retailers need to recognise heavy spenders and value shoppers and design different offers that would benefit each consumer personally rather than offering discounts on certain products only. As retail becomes an omnichannel industry it is imperative for retailers to integrate data across all channels and analyse it to maintain separate consumer profiles and predict buying decisions. According to Rana, PAYBACK holds an advantage in this regard as PAYBACK has partnered with leaders in different industries- Future Group, Hindustan Petroleum, Vodafone, ICICI bank etc. This gives them the ability to access data across channels as well as provide benefits to customers across products and services. This also lets them profile customers according to customer spends and give them offers that are relevant to them. For the customer this means lesser confusion and he/she can earn and redeem his points through a single card when spending money on different needs. Every customer wants to be treated as a different entity with different needs. A single loyalty program for all cannot possibly serve every customer personally. Thus, identifying true loyal customers from the vast data of members and designing offers that are specific to them definitely makes the customer come back to the store. Right now customers can only buy products, get points, and redeem them or earn more, while retailers only communicate through new offers and discounts. Anand Shri Ganesh says retailers need to talk to customers on a more personal level. This can be achieved at stores where customers frequently make purchases. Knowing more about what the customers buys most or least and giving him discounts on his biggest buys will retain customers for long. Ganesh also advices retailers to explore customer feedback through multichannel loyalty strategies, and even allow customers to share and offers with friends and family.